Born Angelita Helena Margarita de Silva Ferro, Nina de Silva was known by the stage-name N. de Silva. Her first stage appearance was as a page in Sir Henry Irving‘s 1882 production of Much Ado About Nothing. 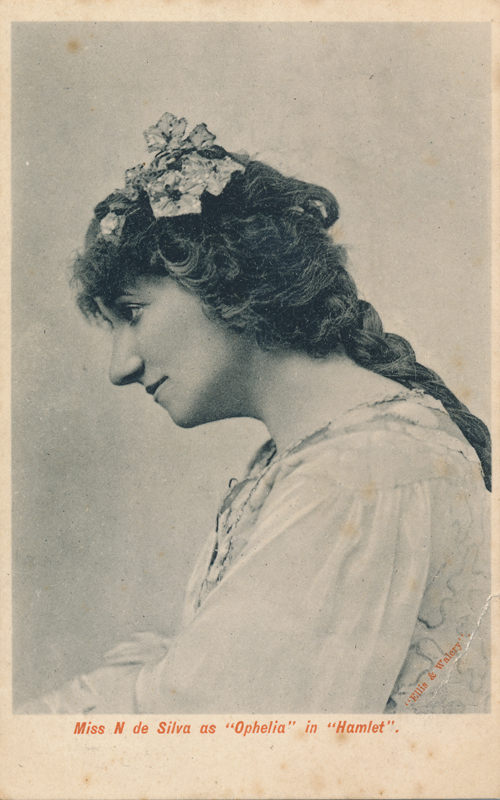 She married Sir Martin Harvey and played in his company when he was based at the Lyceum in London in 1899. 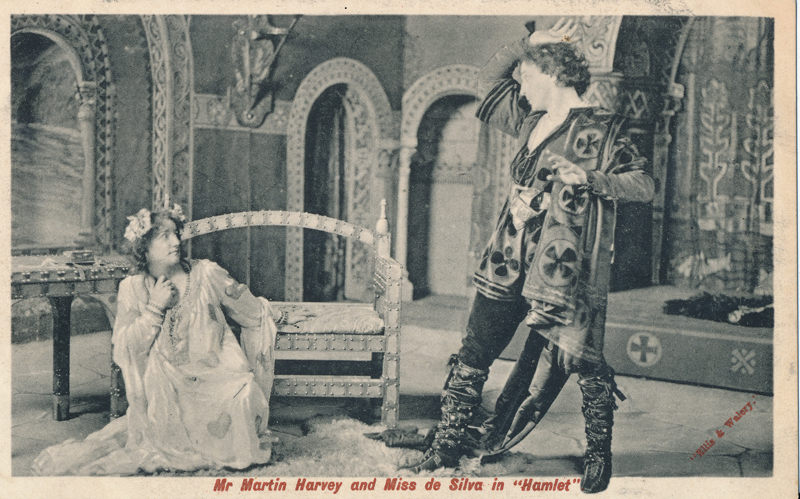 De Silva played in Hamlet as Ophelia, Richard III as Lady Anne, The Taming of the Shrew as Katerina, and in Henry V as Princess Katherine. 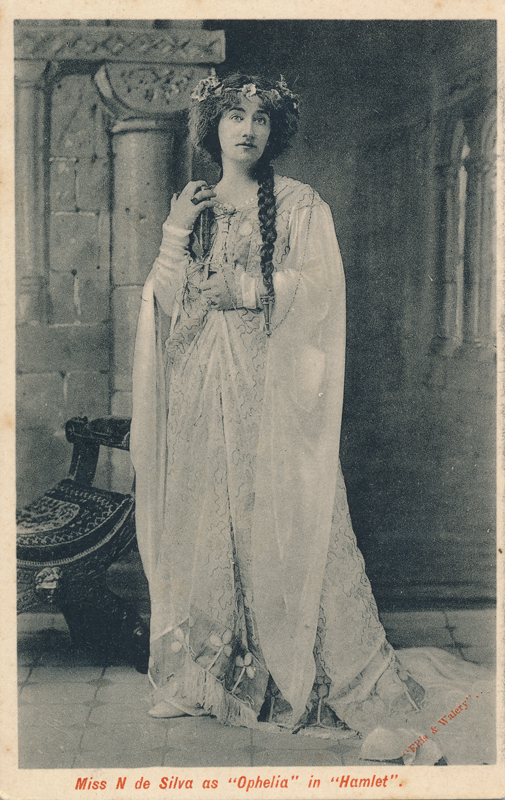 She reprised many of these parts in 1916 when Harvey moved to His Majesty’s Theatre. 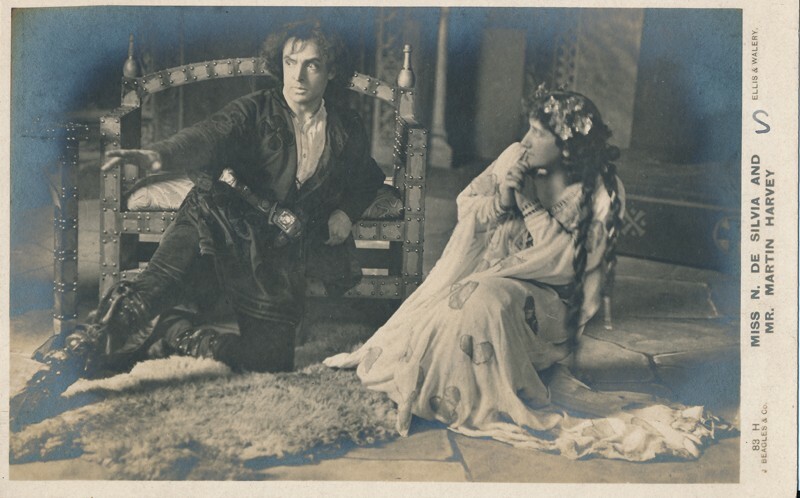 De Silva played Ophelia again in 1919. Over the years, she also toured with Harvey’s company at various British and Canadian theaters. During WWI, she and Harvey toured the country (Britain), recruiting servicemen and women, and raised money for the Red Cross and the Nation’s Fund for Nurses. They raised so much money that they were able to fund a new building for the College of Nurses in 1920. With Harvey, she had two children, Muriel and Michael, both successful actors like their parents.